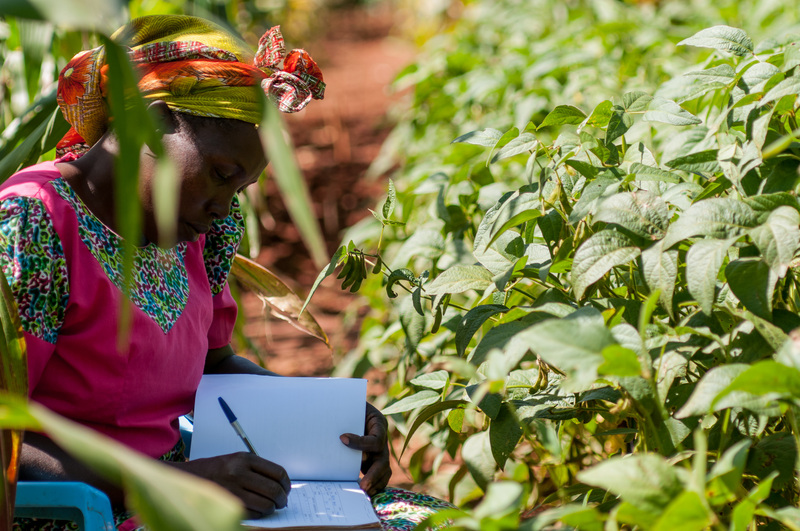 The Structural Transformation of African Agriculture and Rural Spaces (STAARS) fellowship program managed by Cornell University in collaboration with the CGIAR Research Program on Policies, Institutions, and Markets (PIM) and other partners announces a call for concept proposals from early-career African researchers seeking to become STAARS fellows in 2019. Application deadline: March 1, 2019. The fellowship will cover travel and training. STAARS fellows will be paired with mentors at Cornell University with whom they will jointly author a paper on a topic of mutual interest relating to structural transformation in Africa south of the Sahara. PIM will support the publication of resulting research findings in high quality journals and as working papers. In addition, PIM and Cornell will facilitate fellows’ participation in scientific and policy conferences. The Structural Transformation of African Agriculture and Rural Spaces (STAARS) project is a collaborative venture between the African Development Bank (AFDB), CGIAR Research Program on Policies, Institutions, and Markets (PIM), Partnership for Economic Policy (PEP), African Economic Research Consortium (AERC), World Bank, and Cornell University. This project builds on the predecessor Agriculture in Africa: Telling Myths and Facts project led by researchers at the World Bank and relies heavily on the data provided through the Living Standards Measurement Study Integrated Surveys on Agriculture (LSMS-ISA) initiative. Read more about the project here. The STAARS Fellowship began in 2016 and to date has supported 18 fellows from diverse backgrounds. Learn about past fellows here. Prospective STAARS fellows are invited to develop proposals in the following thematic areas. Dynamics of agriculture input use, technological change, and productivity growth in Africa south of the Sahara. Rural factor market performance, labor exits and productivity in Africa south of the Sahara. Food security, nutrition and health linkages in Africa south of the Sahara. Poverty dynamics and resilience against shocks in Africa south of the Sahara. STAARS fellows’ rigorous policy analysis should use existing data, such as the Living Standards Measurement Study - Integrated Surveys on Agriculture (LSMS-ISA) or similar datasets from sub-Saharan Africa. The call is open for early career African researchers, either Ph.D. students in their final year or those who completed their Ph.D. in 2014 or later. Priority is given to researchers based and working in – or soon returning to – Africa, with priority given to proposals relating to the research themes indicated above. Qualified female researchers are particularly encouraged to apply. STAARS encourages applications from fresh Ph.D. graduates who can benefit from a mentorship and additional training to become highly competent researchers. Fellows are expected to complete the proposed project by publishing findings as a working paper and submitting to a peer-reviewed journal by December 15, 2019. The selected applicants will receive funds to cover travel and participation in a three-week mentorship program at Cornell University. No funds are available to support an individual’s time, so written permission from one’s supervisor will be required. No funds are available to support data collection or other research expenses. The STAARS fellowship application process is managed by Cornell University, in collaboration with PIM. Applicants are required to prepare a maximum 2500 word (5 page) concept proposal, which motivates the selected research issues and objectives, outlines data sources, proposed methodology and contains a convincing plan for completing the project by December 15, 2019. All proposals shall be prepared in English. All proposals will be peer reviewed by experts from PIM and Cornell University. The deadline to submit a concept proposal is March 1, 2019. Applicants should submit their completed proposal via email to staars@cornell.edu. Accepted applicants will be notified in mid-April and are expected to begin remote collaboration with their mentor immediately upon acceptance. The proposed research and capacity development is expected to be undertaken as part of an ongoing effort by the scholar; STAARS will not cover the scholar’s time allocated to this research. The program cannot support costs for any new data collection. Researchers are expected to be familiar with existing data sets and have a strong working knowledge of Stata, R or other econometric software and an interest in econometric analysis of high quality data sets. Completed 2019 STAARS Fellowship Applicant Information Form. Introduction and motivation that includes clear statement of research objectives and hypotheses. Description of data sources(s) and any prior experience working with the proposed data. If applicable, summarize any preliminary results. I am writing to ask if an MSc researcher may have the chance to apply and be considered for this call? As per the guidelines, one must be in the final year of a PhD or be a PhD holder to apply. Can masters graduates apply? Or is there any for masters? Beacause some of us will do phd soon and opportunities only comes at once..
Can an MSC researcher apply because eibam interested in this. Can a BSc degree holder apply? Please see responses to previous questions. Hi, my name is Srinivasulu Rajendran and working at International Potato Center based at CIP’s regional office in Nairobi, Kenya since 2016. I am a Indian citizen and have completed PhD in agricultural economics in year 2013 and working in African regions past 6 years. Am I eligible to apply for this fellowship? Kindly I request you to provide me your response. Per the eligibility guidelines, only those who have completed their PhD in 2014 or later are eligible for the fellowship. All African countries are concerned? I'm a PhD from Tunisia. Thank you for your question. We do accept applications from Tunisians. Bonjour ! Je suis SAIDJAM MARANDI, je viens de finir le cycle de Master 2 recherche Microéconomie du développement à l'université de Yaoundé 2- Cameroun. Je suis de Nationalité Tchadienne, j'aimerais savoir si je peux postuler et demander la formation dans une université Camerounaise ? Ou bien il y a des universités qui sont retenues pour cette formation. Merci de poser votre question. Le programme de STAARS est ouvert aux étudiants d’origine africaine parvenants de toutes les universités (y compris bien sûr quelqu’un de votre cas, de nationalité Tchadienne avec des études au Cameroun). La collaboration est d’abord à distance, avec un court séjour à Cornell University aux E.U. Cependant, afin de se qualifier les candidats doivent soit avoir terminé ou être sur le point de terminer le doctorat. J’espère que cela répond à votre question. -to recap, the call will provide the selected applicants with only funds to cover travel and participation in a three-week mentorship program at Cornell University. No data collection funds or any other research expenses. am i right? - can Cornell University experts help with suggestions to applicants after reviewing the submitted document? - am a P.H.D student in Agricultural Economics and i am planning to work on a topic about Benin/West Africa. i am writing my proposal now and i really need some suggested methods to apply in my study cause the topic is a recent one and no similar methods i could find to fit my objectives. the topic is about a typical system in my country. if you can help for that i will be glad and will be happy to submit my proposal to this call. You are correct that there are no data collection costs or research expenses covered. The fellowship is designed for scholars who have finished their PhD, or are in the final year of their PhD and we are unable to provide proposal development support or comments on submitted documents. I graduated my Ph.D in the Netherlands in December 2013. This STAARS fellowship is perfect for me now and allow a chance to publish 2 manuscripts of mine. Am I still eligible for this call based on my date of defense? Thank you for your question. We must adhere to the eligibility guidelines around date of PhD completion (2014 or later) so you are not eligible to receive the fellowship. We wish you the best of luck completing your manuscripts. I am new graduates of PhD in Agricultural Economics, Ethiopia. Can I have the permission to apply? Thank you for your question. From what you have written, you are welcome to apply for the fellowship.